The winners of Sytner’s annual Elite Technician contest were decided at the ever-growing annual contest in Warwickshire, with video playing a decisive role in determining the winners. In what is thought to be a UK first for a competition of this type, video presentation skills formed a vital part of the selection process. Whittled down from an initial 500 applicants, the final 36 competed for several awards including the new ‘Multi-brand’ and ‘Apprentice’ categories. CitNOW sponsored the competition alongside Pirelli and Shell, celebrating the talent on show across the Sytner Group. Ten brands had their own categories, with Audi, Bentley, BMW, Ferrari, Jaguar & Land Rover, Mercedes-Benz, Mini, Porsche and Volkswagen all represented. As part of the finale, contestants were required to identify a set of pre-programmed faults with a given vehicle, before demonstrating their video presentation skills using CitNOW’s leading-edge software. The 36 finalists – including the first female technician to reach the final – were selected following an initial online theory test completed by a record number of applicants. New this year, the ‘Apprentice’ category aims to identify and commend the stars of the future. The winning contestant demonstrated a remarkably developed skillset in terms of both technical knowledge and presentation skills. Melvin Rogers, Director of Human Resources at Sytner Group commented: “This was again a fantastic day in which the level of talent was outstanding. “We believe this was the first time video has been used in the UK to determine a competition of this nature. It is a marker of the industry’s evolution as it embraces new technologies not only inside vehicles but as part of delivering the best possible service. 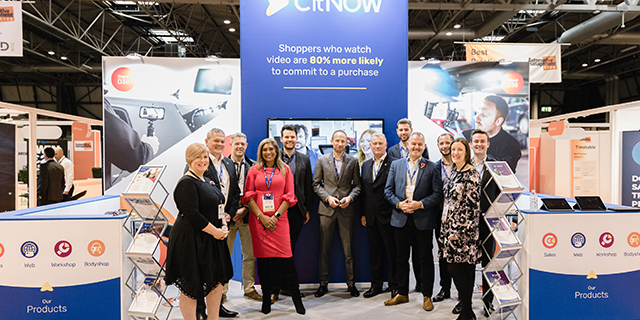 Ollie Parsons, Head of Sales and Client Services at CitNOW, commented: “The opportunity to support an event which showcases such talent is a fantastic one for us.